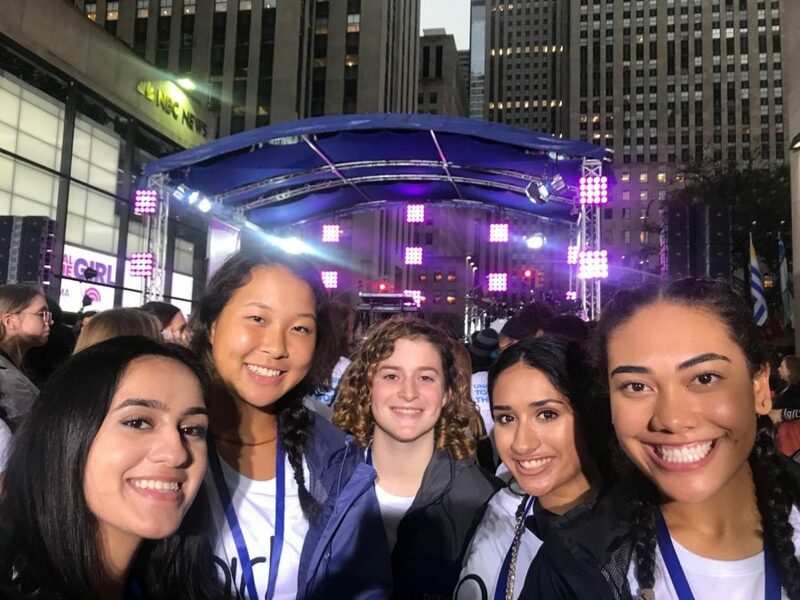 Girl Up members Shreya Kaul, Hanna Kim, Lindsey Baum, Riya Desai, and Raven Murray are all smiles amongst the crowd at NBC's The TODAY Show. On Thursday Oct. 12, eight members of the Girl Up club were invited to New York City to see Michelle Obama on The TODAY Show for International Day of the Girl. The club members were eight of almost one hundred other girls from various groups to fill the crowd. At the event, Obama launched her foundation, Global Girls Alliance, which works to fund education for adolescent girls around the world. The TODAY Show also held a concert featuring performances from Kelly Clarkson, Jennifer Hudson, and Meghan Trainor. The club members left Hillsborough a little after 3:00 a.m. to make it to Rockefeller Center by 5:00 a.m. to get a place in the crowd for the show’s soundcheck. A few of the girls made posters to bring to the show featuring slogans such as “We are the leaders we’ve been waiting for” and “Here’s to strong women. 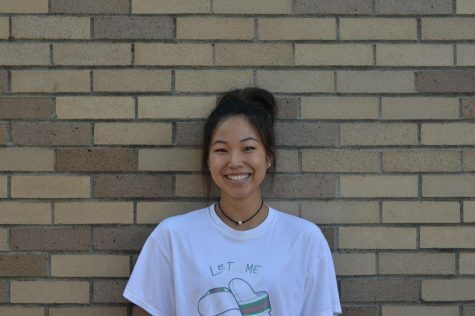 May we know them, may we be them, may we raise them.” Their experience was filled to the brim with excitement, and members were filmed, featured, and even fought by paparazzi. Senior Shreya Kaul took a stand against rude reporters trying to snap a photo of the former First Lady. The paparazzi were viciously attacking young girls holding up posters for blocking their view. They were calling young girls, including members of HHS’ Girl Up, “trash” among other obscenities and even mocking them. Kaul stood up to the reporters and made it clear to them that this day was not for them as it was the International Day of the Girl. The angered reporters continued to harass the girls and take pictures of them. As a result, two paparazzi were ejected from the crowd and peace was restored. The club continuously has unique opportunities such as being invited to The TODAY Show and are definitely up and coming. Girl Up meets every other Thursday in room 712. In this world it's either milk or be milked.